The Bounce Bash program offers family events, outings and adventures specially designed to enable the participation of children with complex medical needs. Joined by their parents and healthy siblings, sick kids and their loved ones experience activities typically off-limits to them. How does the Bounce Bash program help? 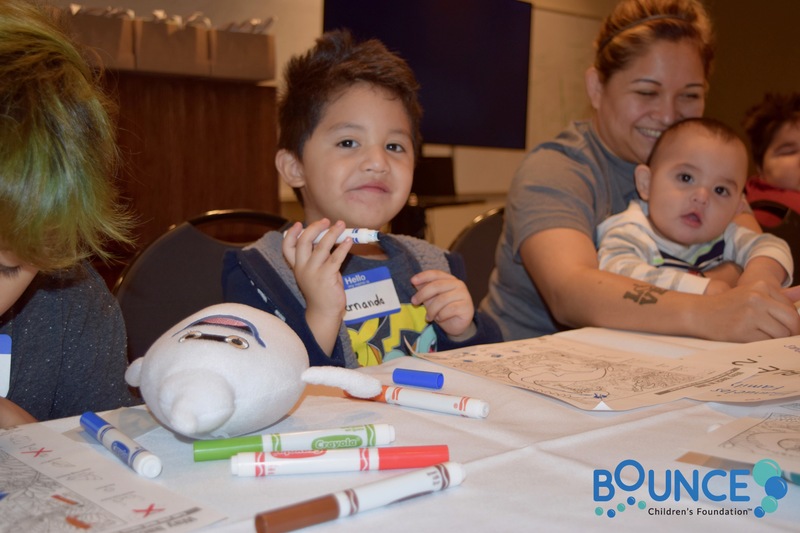 Bounce Bash events provide member families with distraction from the day-to-day burdens of chronic illness, creating fun and friendship, and providing face-to-face opportunities for all to feel safe, accepted and ‘normal’ within the community. These special events reduce feelings of isolation and build long-term confidence that transfers to other life experiences. Who can attend a Bounce Bash family adventure? All Bounce families are automatically enrolled in the Bounce Bash program and are invited to every Bounce Bash family adventure. Families are confirmed for attendance based on supply and demand. Nurses/Healthcare Aides are also welcome to accompany their Bounce family as necessary. When/Where are Bounce Bash events held? Bounce Bash events are usually held on either a Saturday or Sunday, and are typically offered twice a month. Events are held at various venues across the entire Chicagoland area. How much does a Bounce family have to pay to attend a Bounce Bash? Absolutely nothing! All Bounce programs and services, including Bounce Bash events, are offered free of charge to member families. How do Bounce families sign-up for a Bounce Bash? Bounce Bash invitations are emailed approximately one month prior to the event and include a link to the registration page. Member families can also access information about upcoming Bounce Bash events through Bounce Net®. Who qualifies to be a Bounce family and can my family join? Membership is available to all families with a child, under the age of 18, who has been diagnosed with a chronic disease and/or permanent injury, regardless of socioeconomic status. When a child is diagnosed, the entire family is diagnosed, so we welcome – and serve – the entire family. (NOTE: all family members must live in the same household.) To join, simply complete our application by clicking here. How can I support Bounce Bash? You and/or your company can sponsor a Bounce Bash. You and/or your company can donate a venue to host a Bounce Bash. You can volunteer at a Bounce Bash event. 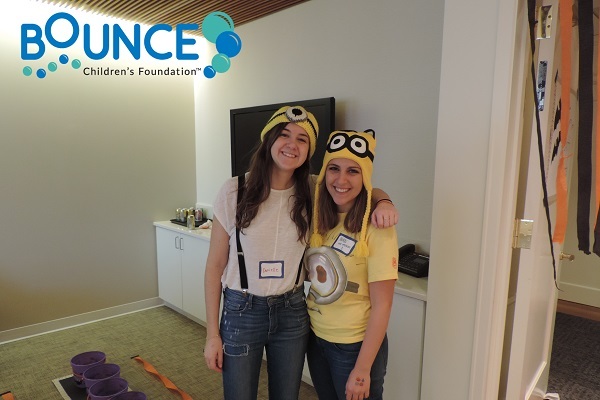 To learn more about getting involved with Bounce Children’s Foundation®, please click here! 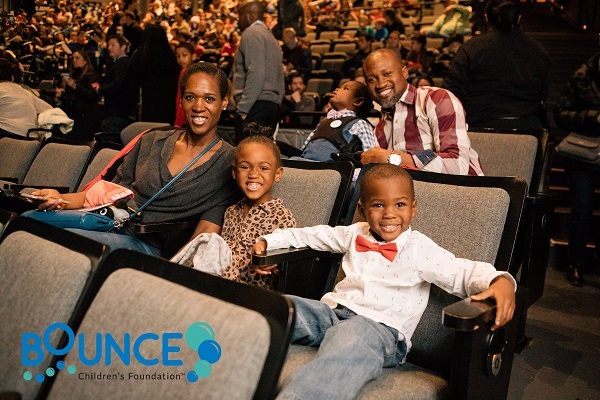 Bounce Children's Foundation transforms the lives of chronically ill children, and their families, shifting all from surviving to thriving. Join us and our Regionally & Nationally renowned chefs on May 15 as they present their favorite Best Bites. Sample them all, then cast your vote! Get your tickets here today. Did you know Buckets For Bounce: A 3-on-3 Basketball Tournament is right around the corner? Don’t miss out this amazing event on Saturday, June 17, 2017 to benefit chronically ill children and their families. To join us and/or learn more, click here! Thank You for Creating a Bounce It Forward™ Opportunity! How did you hear about Bounce? Bobby Lucas currently serves as Office Managing Partner for Dinsmore & Shohl LLP in Chicago, is a member of Dinsmore’s Management Committee and practices in Dinsmore’s Corporate Department in the Business, Acquisitions and Securities Practice Group. His practice focuses on mergers, acquisitions and divestitures, as well as general business law and corporate matters, for small to middle market clients as well as larger, privately-held entities. He also has extensive experience representing lenders and borrowers in senior and mezzanine lending transactions, and dealing with publicly and privately held securities offerings and related matters. Prior to joining Dinsmore & Shohl LLP, Bobby was a partner at Thompson Coburn LLP. Bobby holds a J.D. from Indiana University Maurer School of Law and a B.S. in Political Science from Xavier University. 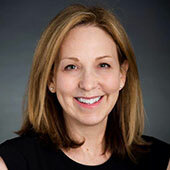 Sherri Hlavacek serves as Corporate Controller for Nuveen Fund Advisors, Inc. as well as for Nuveen Investments, Inc. and certain other Nuveen Investments advisory affiliates. Sherri joined Nuveen Investments’ Finance Department in 1998 as Vice President and Assistant Controller and was subsequently appointed Controller in 2001 and Principal Accounting Officer in 2006. 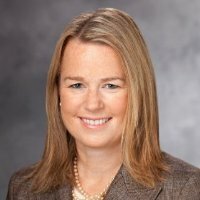 Prior to joining Nuveen in 1998, Sherri was Controller of Sara Lee Bakery, Senior Manager of Kraft Foods and Supervising Senior Manager at KPMG. Sherri serves on the Board of Directors for Willow House and Chicago Scholars, and previously served on the board of Starlight Children’s Foundation Midwest. Sherri has a M.S. in Management from Northwestern University and a B.S. in Accounting from Purdue University. Corey Martens is a Partner in the Chicago office of Grant Thornton LLP’s U.S. Forensic Advisory Services practice. 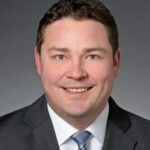 Prior to joining Grant Thornton, Corey has been a Partner in the forensic and dispute services practices of two other global accounting firms and a Managing Director in the Chicago office of a boutique forensic services firm. Corey began his career in the audit practice of one of the aforementioned global accounting firms in its Milwaukee office. Corey is a Certified Public Accountant (CPA) and is Certified in Financial Forensics (CFF). He received his BBA from University of Wisconsin, Whitewater. Aside from being a Board Member for Bounce Children’s Foundation, Corey is associated with The 100 Club of Chicago and serves as a Board Member for both Equip for Equality and the Shirley Ryan AbilityLab Foundation. Brent Breithaupt is a director in West Monroe Partners’ Advanced Analytics practice. 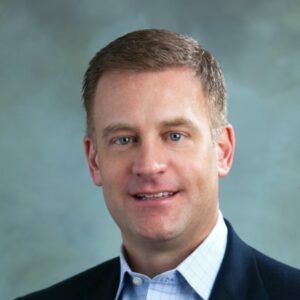 Brent joined West Monroe Partners in 2015 from Perficient, Inc., a publicly traded technology-consulting firm focused on leading enterprise software solutions from IBM, Oracle, Salesforce.com, and Microsoft. He was a director and leader of Perficient’s IBM Business Analytics practice. He also built the firm’s Predictive Analytics practice from the ground up and earned multiple awards as an IBM Analytics Partner. Previously, Brent was a managing director for JCB Partners, LLC, a privately held management consultancy focused on sales and services of performance management and business analytics enterprise software solutions. Earlier in his career, he was a manager with Draft/FCB in Chicago, responsible for executing customer relationship management (CRM) analytics against large national advertising campaigns. He also managed partnership & alliances for an early stage software company, InStranet, which was acquired by Salesforce.com. Brent began his career with EDS as a database marketing analyst. Brent earned a Bachelor of Arts degree from DePaul University. Peter Delneky is a Vice President at CBRE, Inc. and senior member of the Midwest Consulting Practice Group. Within the Consulting Practice, Mr. Delneky concentrates on developing and implementing strategic real estate plans on behalf of his clients with a particular focus on high growth companies and corporate headquarters relocations. Since 2006, Mr. Delneky has been involved in over 3 million square feet of transactions across local, national and international levels for clients including Motorola Solutions, Dow Chemical and Mayer Brown. Mr. Delneky sits on the board of the Kids Can-Do! Foundation and served as President of the Young Executive Stars Board for Starlight Children’s Foundation Midwest from 2012-2014. Peter received his Bachelor of Arts degree from Wake Forest University. Head of Spectrum’s health technology as well as the firm’s Chicago office, Dave has more than 20 years’ experience in healthcare marketing and corporate communications. He has a passion for managing complex healthcare communication issues, and has served in corporate and agency leadership roles. Dave’s diverse experience ranges from market development and product launches, issues management and advocacy, and building understanding and awareness for new technologies and clinical approaches. Dave has an MS from Northwestern University’s Medill School of Journalism and a BS from DePaul University. Jami Guthrie serves as the Vice President of Consumer Insights & Business Analytics at SC Johnson. He joined SCJ in 2013 as the Global head of Insights. Prior to joining SCJ, Jami was the Vice-President of Global Consumer & Market Intelligence and Integrated Marketing at Wm. Wrigley Jr. Company. Earlier in his career, he held roles at PepsiCo, Quaker Oats Company and Millward Brown. Previously Jami served on the Board of Directors for Starlight Children’s Foundation Midwest. Jami holds a B.A. in Marketing from the University of Northern Iowa and an MBA from DePaul University. Nicole Henning is a Partner at Jones Day. Prior to joining Jones Day in 2006, Nicole worked as a law clerk to Hon. Joel M. Flaum at the United States Court of Appeals for the Seventh Circuit. Nicole holds a J.D. from Yale Law School and a B.S. in Journalism from the University of Illinois at Urbana-Champaign. Nicole joins the Bounce Board of Directors after working closely with us during the Halloween Bounce Bash sponsored by Jones Day. Daniel Marks, CEO of DHM Growth Capital, is a 40 year veteran and entrepreneur in the jewelry, fashion and retail industries. He began his career with the family owned Whitehall Jewelers, which grew to the fifth largest chain in the United States. Following the sale of Whitehall, Mr. Marks founded several jewelry related manufacturing, wholesaling and retailing ventures including Ultra Jewelers. Ultra grew to 200 stores and was sold in 2013 to Signet the world’s largest jewelry chain, which operates Kay’s and Zales Jewelers. Mr. Marks has subsequently founded three new businesses including Swiss Crown USA, one of the largest wholesalers of pre-owned Rolex watches in the country, LWN LLC, a fashion accessories retailer, and DHM Growth Capital which invests in fashion, jewelry and retail ventures. Danny holds a Bachelor’s degree from American University and has completed post-graduate work at the Gemological Institute of America in Los Angeles. Joan Steltmann serves as CEO for Bounce Children’s Foundation, which creates community for chronically ill children and their families, creating connection, restoring their bounce, promoting healing, and helping them thrive. Previously she served as Executive Director for Starlight Children’s Foundation Midwest where she grew the organization four-fold in less than five years. Prior to Starlight, Joan served as Vice President at Lake Forest Graduate School of Management where she led Development, Governance, Alumni Relations, and Community Outreach. She launched her career at IBM in sales leadership, business development, digital marketing and strategic planning and was an active leader in the re-invention of the company. Joan has been featured as Executive of the Month by Chicago Business Women magazine and cited in the Wall Street Journal, USA Today, and the Chicago Tribune. Joan served on the board of directors for National Runaway Safeline, Lake Forest/Lake Bluff Chamber of Commerce, and the Wish Ball Board for the Make-A-Wish Foundation Illinois. Joan earned an M.B.A. Kellogg Graduate School of Management, Northwestern University and a B.B.A. (highest honors) Ross School of Business, University of Michigan. Erica Swerdlow is U.S. Executive VP responsible for new business and marketing for the U.S. and also serves as the Midwest Market Leader responsible for leading operations in Chicago and expanding Burson-Marsteller’s presence and footprint in the Midwest region. With more than 23 years of experience working in public relations firms, Erica has managed several global accounts and high-profile product launches. Erica’s experience includes brand and consumer marketing, executive visibility and crisis counseling. Prior to Burson-Marsteller, Erica was an Executive VP with Porter Novelli from 2000 – 2010. Erica was president of EBS Public Relations Inc., a mid-size public relations agency later acquired by Porter Novelli in 2000. Erica has been honored for her work with a Gold Sabre and a Silver Anvil. Erica also produced and led the Illinois Annual Technology Conference (ILATC) from 2000 – 2003 and was an Ernst & Young Midwest High Tech finalist in 1995. Previously Erica served on the Board of Directors for Starlight Children’s Foundation Midwest. Erica obtained her Bachelor of Science degree in Music Education at The University of Illinois Urbana-Champaign. 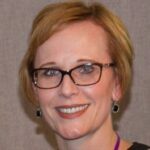 Alison Jawor serves as the Corporate Trainer for Emmi Solutions, a Healthcare IT company that focuses on patient education and behavioral science of the patient through data/analytics. Here, Alison is responsible for developing and facilitating the organization’s internal L&D initiatives. Prior to joining Emmi in January of 2015, Alison was the Director of Training for Merge Healthcare and the National Sales Trainer for Allstate Benefits. Alison attended the University of South Florida. She has an extensive background in volunteer work, leading her sororities philanthropic initiatives with The Ronald McDonald House and being awarded Volunteer of the Year for her age group in Jacksonville, FL from 1999-2001. Yoni Macagon is a Revenue Manager for United Airlines, where he optimizes fares and inventory pricing for the United States domestic network. He has over seven years of forecasting and financial analysis experience working for Fortune 500 companies on various initiatives from defining business opportunities to developing efficient processes for revenue optimization. Yoni received a Bachelor of Science from the University of Wisconsin – Madison. He comes to Bounce with great volunteer experience. He currently volunteers for United Fantasy Flight, a charity event where children and their families experience a trip to the North Pole. He also served on the Young Executive Stars Board for Starlight Children’s Foundation Midwest from 2013 to 2014. Sam Eastwood works in operation and strategy at Uber. He graduated from Northwestern University with a double major in Industrial Engineering and Economics. He comes to Bounce after serving on the Executive Board as a Finance Co-Chair for Northwestern University Dance Marathon in 2015. Northwestern University Dance Marathon (NUDM) is one of the largest student-run philanthropic programs in the United States. In 2015, the 30-hour Dance Marathon raised over $1.13M, the second largest amount in its 42-year history. Chelsea Murbach serves as the Digital Communications Coordinator for Holland & Knight LLP, where she handles the firm’s digital marketing. Prior to starting her career there, she attended The University of Alabama where she received her B.A. in Public Relations and Communications. In addition to her involvement with Bounce, she previously volunteered at the Clearwater Free Clinic and was a member of the planning committee for the organization’s annual fundraiser. Angeline Aleszczyk is a Treasury Solutions Officer at Bank of America Merrill Lynch where she manages a portfolio of not for profit clients. She graduated from Northeastern Illinois University with a degree in Business Management and has experience in fundraising and event planning through NEPSA (Northeastern Polish Student Alliance) of which she served as President for two years. She also enjoys volunteering at Working in the Schools, After School Matters, Greater Chicago Food Depository, and Feed My Starving Children. Monisha Appalaraju is a technology consultant with Pricewaterhouse Coopers (PwC). She graduated from Northwestern University’s McCormick School of Engineering with a B.S. in Computer Science. There she spent 2 years serving on the Northwestern University Dance Marathon Executive Board as the Technology Resources Co-Chair and subsequently Marketing Co-Chair. Northwestern University Dance Marathon (NUDM) is one of the largest student-run philanthropic programs in the United States. In 2015, the 30-hour Dance Marathon raised over $1.13M, the second largest amount in its 42-year history. 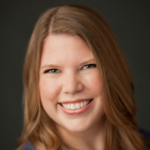 Carrie Collins is an Activation Specialist for the Chicago Cubs, where she manages the partner relationships for over 25 Chicago Cubs corporate sponsors. Prior to joining the Cubs, Carrie managed the driver assets for Coca-Cola’s NASCAR program. She is a graduate of Georgia Tech, where she earned a BS in Management. Her career in sports has provided Carrie with the opportunity to work with many athletes and teams who have recognized the opportunity to use their public platforms to give back to their communities, and she looks forward to bringing these experiences to Bounce. Brian Garner currently works in the Large Drive Division for Quad Plus focusing on sales and client engagement. Prior to joining Quad Plus, Brian worked as a Production Specialist for COTG, a Xerox Company. He graduated from Grand Valley State University with a double major in Marketing Sales & Business Management. Brian joins the Bounce Emerging Leaders Board with a huge passion for volunteer work and helping the community. During college, Brian worked as an assistant for the Michigan chapter of the Make-A-Wish Foundation. Jori Goodman is a Business Analyst at Accenture. She graduated from Northwestern University with a B.A. in Psychology and Business. During her freshman year Jori became heavily involved in volunteer work at the Mather Pavilion Nursing Home, where she led events for Alzheimer’s and Dementia patients as a way to promote quality of life within the home. Additionally, Jori served on the Development Committee for Northwestern Hillel, where she helped fundraise through events such as Phone-a-Thon and Donor Cocktail Parties. Laynie Held is a Masters Candidate at Kellogg School of Management. She graduated from Northwestern University with a degree in Human Development and Psychological Services. She has always had a passion for nonprofits, especially fundraising for children’s nonprofits, which only grew with her involvement at Northwestern University Dance Marathon as Dancer Relations Co-Chair in 2015. Northwestern University Dance Marathon (NUDM) is one of the largest student-run philanthropic programs in the United States. In 2015, the 30-hour Dance Marathon raised over $1.13M, the second largest amount in its 42-year history. Ryan M. Holmes is a Partner at Clark Hill, LLC. He focuses his practice on estate and trust planning and administration, estate planning for digital assets, special needs planning and administration, income, gift, generational and estate tax planning, probate and guardianship administration, and probate, trust and guardianship litigation. He also maintains an active corporate and real estate practice, both residential and commercial. Ryan was recently named to the Illinois Super Lawyers & Rising Stars list for 2016. Ryan has also served as an associate Board Member for New Hope Center, which provides assistance to individuals with special needs and their families. He earned a B.A. in Economics from Knox College and holds a J.D. from Northern Illinois University. Christopher Jones, CFP®, specializes in helping clients work towards their financial goals through personalized financial planning. Chris graduated with a business administration degree from Lindenwood University and completed his Certified Financial Planner program through Northwestern University in 2014. Chris is FINRA series 7 and 66 licensed. He is licensed as a life, health and variable annuity agent. In addition to his work with Bounce, Chris is an active volunteer with the Northern Illinois Food Bank, and has helped raise over $35,000 over the past 3 years through his work with Ameriprise Financial. Danielle Katz serves the Morningstar Development Program as part of their Client Services team. She graduated from Northwestern University with a Bachelor of Arts in Communication Studies and minors in Business and Spanish. Danielle has always had a passion for fundraising and volunteering. She was one of the Finance Co-Chairs for Northwestern University Dance Marathon 2015. Northwestern University Dance Marathon (NUDM) is one of the largest student-run philanthropic programs in the United States. In 2015, the 30-hour Dance Marathon raised over $1.13M, the second largest amount in its 42-year history. Mary Lucas serves as a Development and Investment Associate for the Midwest Business Unit of Trammell Crow Company. She is responsible for supporting new business development and acquisition activities, project management and financial oversight for the group’s portfolio of projects. Mary graduated from Boston College with a BS in Finance and Marketing. She currently co-chairs the Boston College Chicago Alumni Chapter. Previously, Mary worked with the Junior League of Chicago and was a member of the Young Executive Stars Board for Starlight Children’s Foundation Midwest. David Ryan currently serves as a Frontend Software Engineer for Groupon, where he works on building features and squashing bugs for deal pages. He is a web developer with a focus on improving the front end user experience. Prior to joining Groupon, David graduated with a Bachelors of Arts in Computer Science from Northwestern University in 2015. While attending NU, he also served as an Executive Co-Chair for Northwestern University Dance Marathon in 2015. Northwestern University Dance Marathon (NUDM) is one of the largest student-run philanthropic programs in the United States. In 2015, the 30-hour Dance Marathon raised over $1.13M, the second largest amount in its 42-year history. Stefanie Mayzel is a Senior Implementation Manager with Aon Hewitt, a large global HR and Benefits consulting and outsourcing firm. She is responsible for managing teams that work with clients to implement and outsource their HR and Benefits functions and HR technology. Stefanie graduated from Indiana University with a Bachelor of Science in Business, and then went on to receive her MBA from Lake Forest Graduate School of Management graduating with honors. She has been very involved with organizations that help children for many years. She was a volunteer for 10 years at Children’s Memorial Hospital in Chicago, and most recently served as Vice President of the Young Executive Stars Board for Starlight Children’s Foundation Midwest. Victoria Sennabaum is currently completing a Master of Science in Learning & Organizational Change at Northwestern University. Previously, Victoria worked in various HR related roles at Bluebeam, Inc., The Walsh Group and Wind Point Partners. Victoria graduated from Florida Gulf Coast University with a Bachelor of Arts degree in Communication Studies concentrating in Public Relations. While in college, Victoria worked in the Service-Learning Department where she organized and hosted volunteer events within her community as well as served as the Philanthropy Chair for a Greek Honors Society called Order of Omega. Victoria has since served with various philanthropic organizations such as the Make-A-Wish Foundation, Misericordia, and the American Heart Association. Claire Reardon is an Account Executive at DSplus which is under the advertising firm, Saatchi & Saatchi. Prior to joining Saatchi & Saatchi, Claire was a Ticket Executive for the Chicago Bulls where she managed client relationships and fan experiences. She earned her Bachelor’s Degree in Consumer Science with a certificate in Entrepreneurship from University of Wisconsin Madison in 2016. At University of Wisconsin, Claire acted as Director of Fundraising for the Delta Gamma sorority and served actively on the Panhellenic Leadership Committee where she raised money for the Service for Sight organization benefiting the visually impaired. Lee Tross is an Account Executive at TrueX Media, a subsidiary of Fox. In his current role, he is charged with helping clients develop innovative advertising strategies to increase brand awareness and sales. Previously, he worked at PHD doing media planning and buying for Hewlett Packard, as well as a smattering of other media sales organizations. Lee graduated from Western Michigan University with a degree in Advertising & Promotion and a minor in General Business. Katherine started at Huron Consulting Group in 2014 and has provided project management and patient access consulting services since joining Huron Healthcare in 2014. She has provided services to both adult regional medical centers and urban children’s hospitals. Examples of past engagements include management of initiative changes and benefit tracking, implementation of change management programs, and measurement tools. In 2016 Katherine moved into a role focusing on patient access improvements. Over the last 15 months Katherine has worked on advancements to hospital Electronic Medical Records, improvements in specialty clinic flow, scheduling optimization, reviewing clinic metrics and implementation of automated scheduling tools. Prior to joining Huron, Katherine worked in finance at Optum Health, a part of UnitedHealth Group. Andrea Wise, Founder: Andrea Wise Lifestyle and Owner: ASCEND, a boutique training studio in downtown Chicago, is a renowned fitness, nutrition and wellness expert. Passionate about helping her clients bring their demanding lives into balance, Andrea leads business executives, entrepreneurs, and creatives in developing sustainable wellness habits. She has been at the forefront of elite fitness since her days as a Division I collegiate softball player. Andrea’s prior experience includes a highly successful corporate career with Equinox and Fitness Formula, among others. Andrea is a long-time supporter of A Leg To Stand On (ALTSO), a New York-based charity that provides free orthopedic care to children with limb disabilities in developing countries. She earned a Bachelor of Science from Loyola University Chicago. Alana Widdess currently leads Digital Merchandising & Operations Strategy at Sears Holdings (SHC) for their Softlines businesses. She joined SHC in 2010 as part of their Senior Leadership Program and served as Chief of Staff for two business unit Presidents and was recently named as part of 2016 Women to Watch in Retail Disruption. Prior to joining Sears, Alana worked in the advertising/media industry creating multisensory print and digital out-of-home campaigns for clients including McDonald’s, Unilever, Tropicana (Pepsi) and Gillette. Alana holds an M.B.A from the University of Chicago- Booth School of Business (Marketing, Strategy, Entrepreneurship) and a B.A. in Organizational Studies from the University of Michigan (Ann Arbor). Alana has held leadership roles with non-profit volunteer boards since high school – President, Key Club International, President, March of Dimes University Board and President, Jewish Children’s Bureau (JCFS) Junior Auxiliary Board. Most recently, she was on the YES Board for the Starlight Foundation and is excited to continue her work with Bounce Network. Ann-Marie Woods is an Associate Attorney at Jones Day, where she focuses on labor and employment law. Ann-Marie also has an active pro bono practice, helping refugees through the asylum process and working with the Lawyers’ Committee for Better Housing as an advocate for tenants facing eviction. Ann-Marie received a J.D. from Boston College Law School, and a Bachelor of Arts from the University of Notre Dame. In addition to her involvement with Bounce, she previously volunteered at the Make-A-Wish Foundation in St. Louis and as a professional mentor to students with Chicago Professionals for Youth. William (Will) Weltman is a senior associate in Reed Smith’s Chicago office and a member of the Retail, Franchise, and Distribution team within the Complex Litigation Group. He represents clients in a variety of litigation matters involving complex contract issues, indemnification disputes, fiduciary claims, false advertising claims, and trade secret claims. Mr. Weltman regularly counsels manufacturers, suppliers, and distributors in various commercial cases, including distribution-related matters, contract disputes, and product liability claims. He also has significant experience in the hospitality industry and utilizes his knowledge and experience in complex litigation matters to counsel hotel operators, restaurateurs and other hospitality ventures. Mr. Weltman holds a BA from Illinois Wesleyan University and a JD from John Marshall Law School where he graduated as valedictorian of his class. He is also a founding member of 100 Men Who Give A Damn, Chicago. 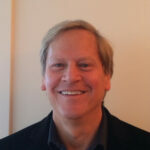 Tom Palczynski is a Strategy & Performance Improvement Associate for Grant Thornton LLP in Chicago. He focuses on creating and implementing strategic imperatives, operational efficiency, and technology solutions for his clients within the Real Estate Consulting sector of Grant Thornton LLP. Prior to that, Tom was a Finance Coordinator at the Foundation for Sustainable Development in Uganda where he gained experience in micro-lending and entrepreneurship. He attended Indiana University’s Kelley School of Business where earned his degree in Finance in 2016. At Indiana University, Tom was heavily involved with College Mentors for Kids serving as General Manager and a member of the Fundraising Committee. Ramsay L. Fuleihan, MD is an Attending Physician at Ann & Robert H. Lurie Children’s Hospital of Chicago and Professor of Pediatrics at Northwestern University Feinberg School of Medicine. He also serves as the Director of Primary Immunodeficiency Clinical Services, the Jeffery Modell Diagnostic Center for Primary Immunodeficiencies, Lurie Children’s Ambulatory Infusion Center, and the Allergy & Immunology Fellowship Program at Lurie Children’s Hospital. Previously, he was an Attending Physician at Yale New Haven Children’s Hospital and Yale University School of Medicine in Connecticut. Dr. Fuleihan earned his medical degree at American University of Beirut in Lebanon, completed his pediatric residency at Duke University Medical Center and a fellowship in allergy and immunology at the Children’s Hospital-Boston at Harvard Medical School. He is a member of several professional organizations including the Clinical Immunology Society (CIS) where he served as Chair of the Continuing Medical Education (CME) Committee, US Immunodeficiency Network (USIDNET) as a co-Principal Investigator and member of the steering committee, and American Board of Allergy and Immunology where he serves on the Board of Directors. John Powers currently works as National Chain Account Manager for Waypoint, a foodservice sales and marketing agency. He focuses on developing partnership solutions between manufacturers and foodservice organizations, creating strategic sales campaigns for clients and providing technical support for national sales team. Before relocating to Chicago John served as Aids Life Cycle’s North Carolina Ride Leader and with multiple philanthropic organizations supporting Susan G. Komen, The National Multiple Sclerosis Society and Station 2, which provides support to the local pediatric burn unit. On top of his professional and charitable experience, he is continuing his education at Northwestern University. John received his Bachelor of Sciences at Radford University. Ken Schack is Vice President of Rico Industries, a fourth generation, family-owned manufacturer of novelty products featuring NFL, NBA, NHL, MLB, WNBA, and NCAA team logos, including hometown favorite, the Cubs ‘W’. In this role, Ken works closely with national retail chains to ensure all Rico resources are aligned to provide first-class service and represents the company at numerous industry trade shows. Expanding his role to include business development, Ken continues to assure greater responsibility for managing the company’s relationships with licensors of the various logos Rico sells. Ken is a graduate of Indiana University with degrees in business and Spanish, and a member of the Vistage International Key Executive program. 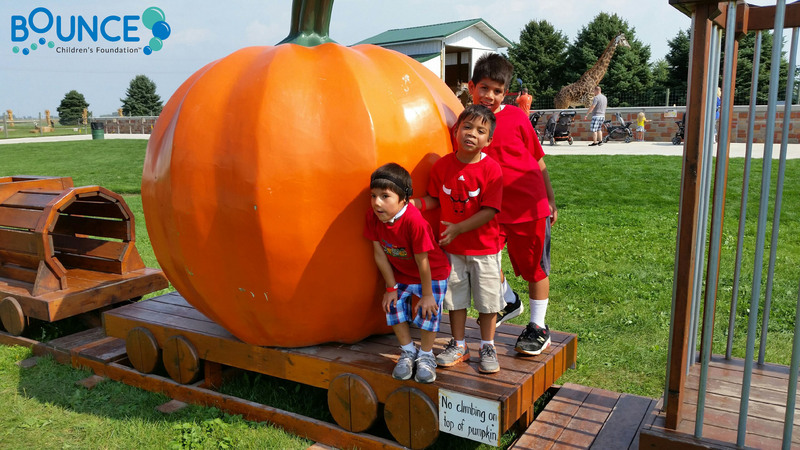 Growing up, and now living, in suburban Chicago, Ken is excited to join the Bounce team. Amy Jones is the Founder and Managing Director of South Street Partners based in Elmhurst, Illinois. Amy’s passion for sharing her extensive global business knowledge with entrepreneurial and start-up companies in varying industries was the driving force for starting her own company. Through her vast professional network and business acumen, she has quickly demonstrated her value to her client base since mid-2018. Prior to starting South Street Partners, Amy worked for McDonald’s Corporation for 14 years. During her tenure at McDonald’s, Amy held various leadership positions within the Global Finance organization, including an international assignment based in Singapore for three years. While in Singapore, Amy’s responsibilities included financial oversight of the company’s six Greater Asia markets, in addition to leading the Finance team which managed operations within the Division offices headquartered in Singapore. Amy also held positions within the Internal Audit and Controls department including global oversight and execution of the annual Internal Audit plan approved by the Board of Directors. Amy began her career at KPMG as an external auditor within the Real Estate and Consumer Products segments and also held several Finance positions at The Home Depot headquartered in Atlanta. She is a graduate of Auburn University where she earned a BSBA in Accounting. She is a Certified Public Accountant in the State of Illinois and Georgia and a member of the American Institute of Certified Public Accountants. Skylar Rose is an Assurance Staff at Plante & Moran, PLLC, where she provides audit services to various clients within the Private Equity, Not-for-Profit and Service industries. Skylar graduated from Indiana University with a BS in Public Finance and an MS in Accounting from the Kelley School of Business. While at IU, Skylar volunteered as a Student Ambassador, Accounting Peer Tutor, IU Dance Marathon Participant and a member of the Hillel Student Board of Directors. She recently ran in the Chicago Marathon raising over $1,500. Skylar has a passion for helping kids and families and is excited to join the Bounce team. Amy Murray serves as Senior Director of Global Family Marketing at McDonald’s Corporation where she is responsible for the vision and strategy for global family marketing in over 120 countries. Amy has extensive experience in brand-building, creative asset development, talent management, corporate communications, vision and strategy development, business planning and agency management. Past roles include: Senior Manager of U.S. Communications; Director of European Marketing; and Senior Director of Family and Sports Marketing in Asia-Pacific, Middle East and Africa for McDonald’s Corporation. Amy began her career as an Assistant Director for Eagles Fly for Leukemia. Then, she became the Senior Account Executive of Golin/Harris Communications. She completed her B.A. in Communications at Boston College and her M.A. in European Studies at Katholieke Universiteit in Leuven, Belgium. Her volunteer service includes: Ronald McDonald House Charities of Chicagoland Marketing Committee; Ronald McDonald House of Washington DC Grant Researcher; Co-Chair of Ronald McDonald House Charities of Singapore Gala; and One Step at a Time Camp Counselor. Joe Gottschalk is Vice President of the Nutrition Portfolio, Consumer Engagement & Insights organization for PepsiCo’s North American Nutrition (NAN) business. NAN consists of PepsiCo’s three main nutrition businesses in the US and Canada: Quaker, Tropicana, and Premium Nutrition, which includes our Naked and Kevita brands. PepsiCo is one of the leading firms globally in everyday nutrition, a strategic growth priority for the company. Joe is responsible for identifying consumer centric and business-building strategies that drive business performance and growth across PepsiCo’s portfolio of nutritious brands. He is also accountable for developing and readying innovative nutritious product platforms for launch and building our brands through advantaged communications and consumer engagement. Joe is a key leader in the global harmonization and advancement of our marketing and insights capabilities to create a superior foundation for continued growth. Joe brings valuable global consumer and marketing experience from his 20+ years leading brand-building insights for a variety of consumer packaged goods companies. Joe was most recently Vice President of Nutrition Insights for both our Global Nutrition Group as well as North American Nutrition. 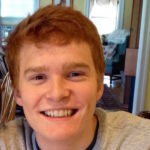 Joe has also worked in global insights at Mars Chocolate, Wrigley, Unilever, Tropicana, and Procter & Gamble. Originally from Bettendorf, Iowa, Joe began his professional career in the US Navy as a Surface Warfare Officer. He also holds a BS of Mechanical Engineering from the US Naval Academy as well as a Masters of Engineering Management from The George Washington University. Joe is married with three children. 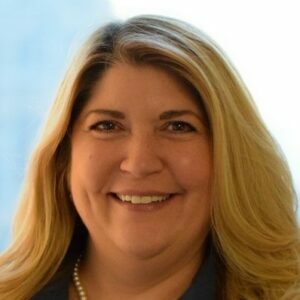 Pamela Diaz is currently the President and Chief Integrator for YJT Solutions, where she manages the operations, finance, business development and strategy departments; oversees the company’s overall growth; and integrates vision, projects and ideas of the CEO. Previously, she served as Senior Vice President and Director of Global Operations/Interim CIO of Ariel Investments and has 23 years of experience working for UBS Global Asset Management (F/K/A Brinson Partners, Inc.) in various roles. Pam has vast experience in asset management operations, strategic analysis and planning, multimillion-dollar budgets, project management, team training and HR management. Pam graduated from Northern Illinois University with a Bachelor of Science in Management. She is a past volunteer for the Cara Program. Meghan Jones serves as Operations Coordinator for Bounce Children’s Foundation, which creates community for chronically ill children and their families, creating connection, restoring their bounce, promoting healing, and helping them thrive. Prior to joining Bounce, Meghan worked as an English teacher in China. She graduated from Drake University where she earned her BA in Public Relations. Her career in nonprofits began in college where she had the opportunity to serve as a Program Assistant for a community organization called Children and Family Urban Movement. Aimee Alexoff is Program Manager for Bounce Children’s Foundation. She focuses on developing and implementing a series of five unique and highly effective programs for chronically ill children and their families. Prior to joining Bounce, Aimee served as an Assistant Teacher at Kids Science Labs where she gained experience in event planning and customer service. She attended Loyola University Chicago where she earned a Bachelor of Science in Psychology in 2016. During college, Aimee co-founded Students with Autoimmune Diseases and heavily volunteered with Ann & H. Robert Lurie Children’s Hospital. Aside from Bounce, she is an active member of the greater non-profit community serving on the Leadership Council of the American Cancer Society and Leaders Who C.A.R.E Board of Children’s Hospital of Wisconsin. 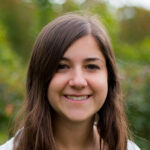 Aimee is also a member of the Young Nonprofit Professionals Network. Jason Katseff is an analyst in Ernst & Young’s Transaction Real Estate group. He focuses on commercial real estate valuation, advisory services, and recruiting and new hire initiatives. Prior to that, Jason worked as a summer analyst at Ravine Park Partners where he prepared market research reports and developed a market rent analysis. Jason graduated from Indiana University with a BS in Finance and Real Estate. At IU, he served on the executive board for Dropping the Puck on Cancer, a hockey competition benefiting the American Brain Tumor Association. Additionally, he has worked with a nonprofit in Nashville called Preston Taylor Homes, where he taught English and math skills to inner-city youth.